Challah for Hunger with McGill Students’ Culinary Society! 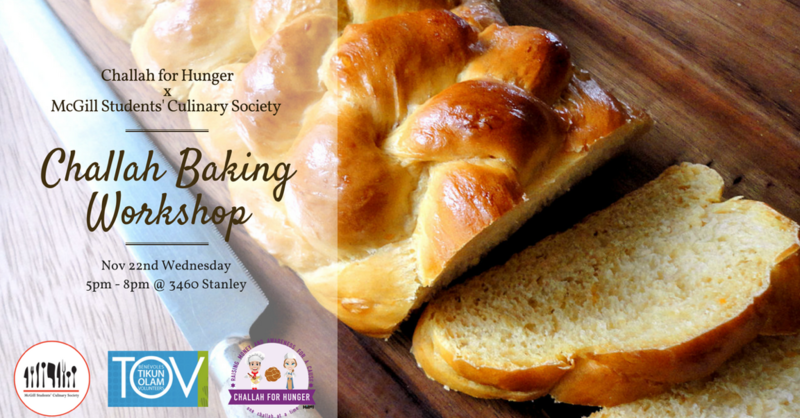 MSCS is proud to announce our second year of collaboration with Challah for Hunger MTL for this challah baking workshop! Come join us and learn the skills of challah making. All the challahs made during the event will be sold for a good cause, to fight hunger! Feel free to join and stay according to your own free time. Tikkun Olam Volunteers are welcome! 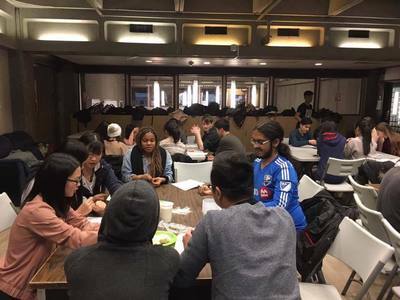 McGill Culinary is launching its first fine dining workshop! Whether you’re looking for an affordable taste of haute cuisine or curious about how its made, don’t miss out on this opportunity! Join us on the 11th of November to make, plate, and dine on a 4 course French meal! "Cooking, the unique yet the most prevalent form of art, never cease to add elegance to the everyday life." If you agree, come and join our potluck; you can learn more about our volunteering opportunities, meet our team members and enjoy a family-like dinner! Do you know the secrets to making the perfect dumpling? Join us on the 14th of October to learn, cook, and eat authentic chinese-style dumplings at Midnight Kitchen. Following the session, you'll acquire the skills to eat cheaper, cleaner, and make everyone's life better because a good dumpling leads to a good day. Come and see us at the farmers' market! We know how y'all feelin'. Sometimes a smokin' hot pulled pork sandwich is just what ya need to get through this Montreal weather. That smooth aroma and nuanced taste are what make barbecue… so very special. Special, like the first sip of a French Roast Amaretto, a light rain in the middle of a dusty afternoon or a hug from our dear old aunt. McGill Students’ Culinary Society has invited pitmaster Bozan Xu, who has been competing on the professional barbecue circuit for 3 years, to host a workshop on American barbecue! In this workshop, we will prepare and smoke our own chicken thigh, learn about the advantages of cooking low and slow, AND EVEN GET TO ENJOY Bozan’s famous pulled pork and beef brisket!! Our guest pitmaster will also teach us how to easily turn any BBQ grill into a smoker (!!) so we can make smoked foods at the comfort of our home! For only $12, get a feel of authentic American barbecue. 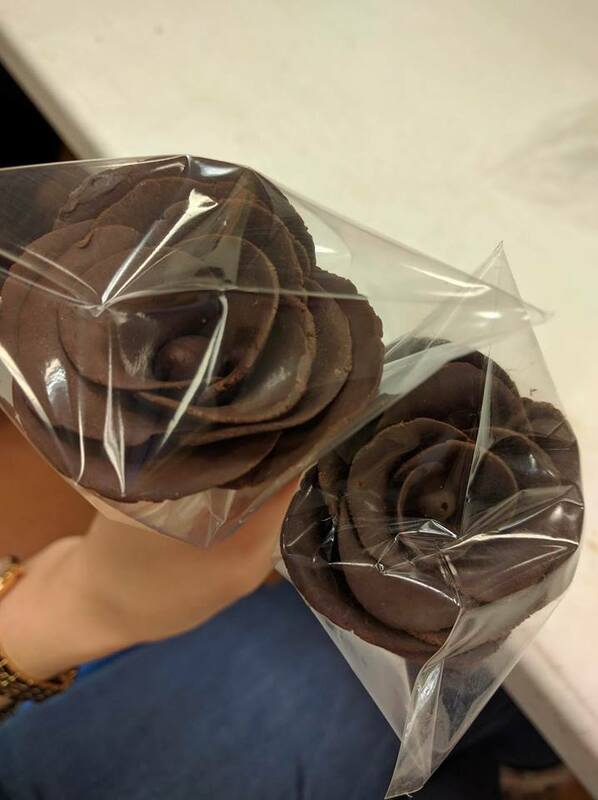 This kind of occasion is unique!! ﻿Challah for Hunger with McGill Students’ Culinary Society! Good Deeds day is approaching and MSCS is proud to announce our collaboration with Challah for Hunger MTL. Come join us and learn the skills of challah making while supporting a good cause. All the challahs made during the event will be sold for a good cause, to fight hunger! Feel free join and stay according to your own free time. 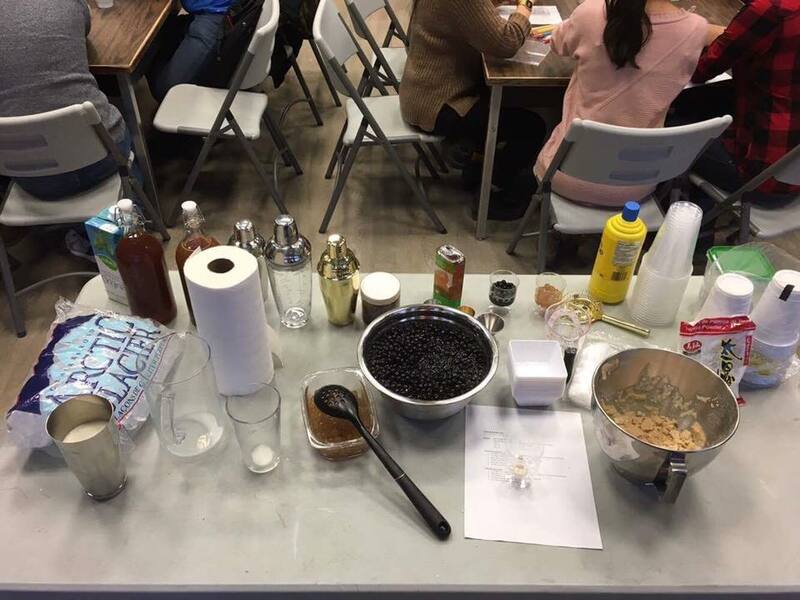 ﻿Culinary Society x SocieTea Bubble Tea Workshop! 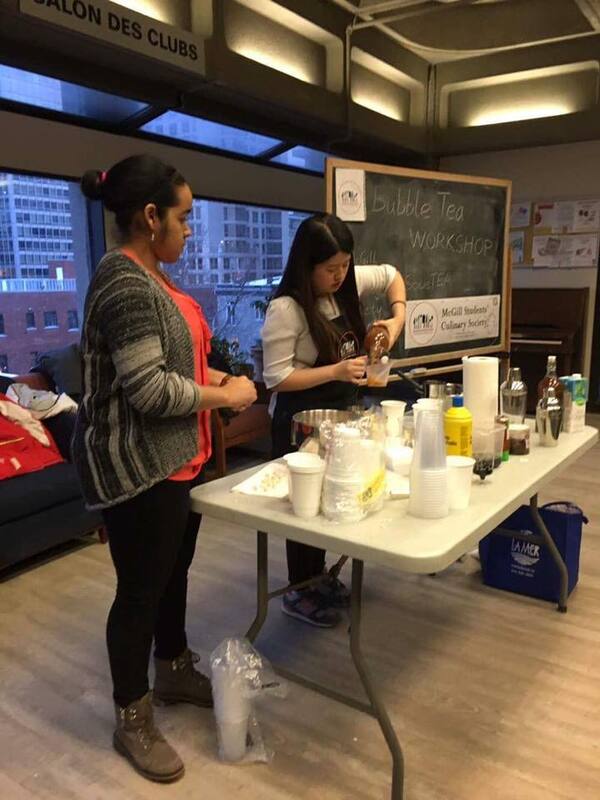 Don't let midterms get you down, come refresh with some homemade bubble tea! 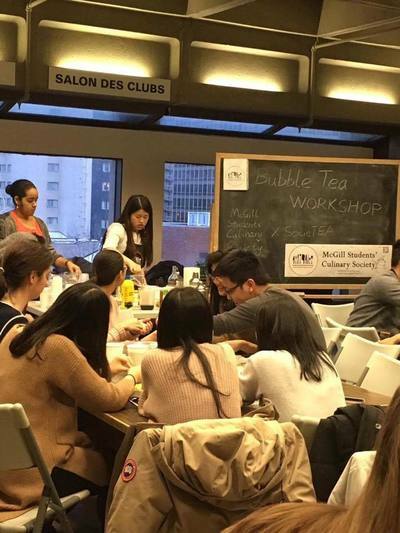 MSCS and the Societea present their long-awaited BUBBLE TEA WORKSHOP!! - a mind that's prepared for some amazing bubble tea! - Only $5 for a ticket!! - Making your own bubbles! Simple and easy, by the end of the workshop you'll be able to make these babies at home. - Mixing a great traditional tea that complements the bubbles. 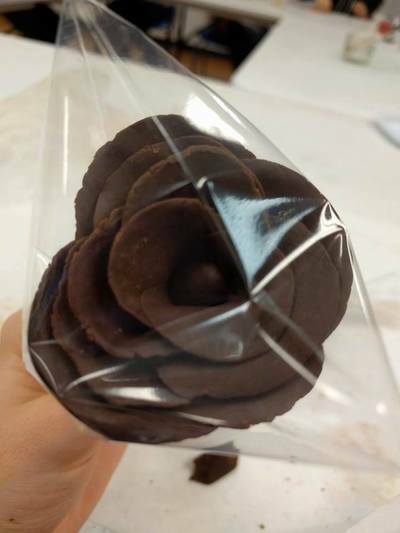 The snow is falling, and you know the Valentine’s day is approaching. Need something to warm you up and combat this endless Winter? 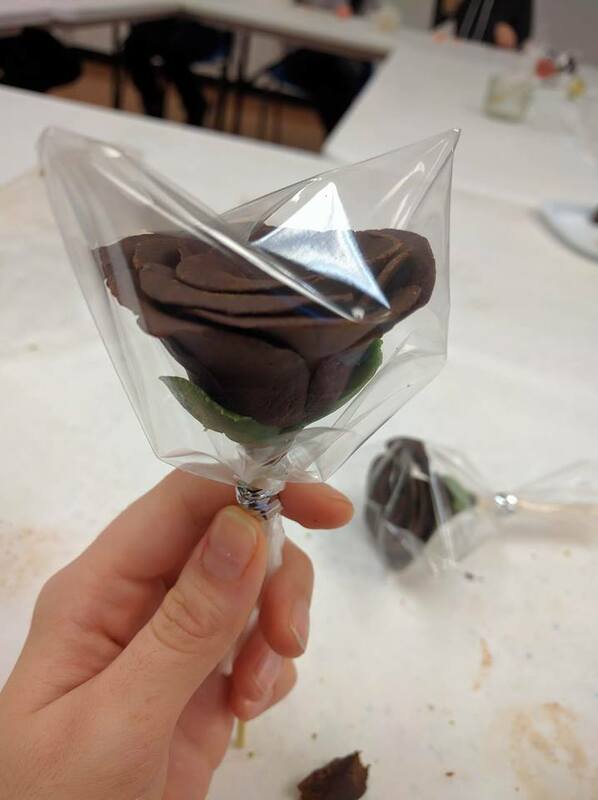 In these workshop we will teach you how to make your own tiramisu and chocolate roses, the perfect Valentine’s gift! No valentine no worries, invite your friends to have a wonderful time! How much: $5 for a jar of tiramisu! **We will be providing you..
* remember to contact our execs to pay and secure your spots! 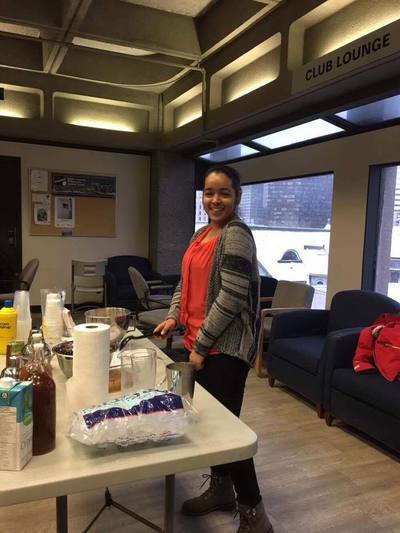 The Mcgill Student's Culinary Society is organizing a Movie night on February 3rd from 6pm to 8pm in SSMU-B29. We will be showing "The Hundred-Foot Journey" where director Lasse Hallstrom injects the movie with the same spirit as fans will remember from "Chocolat", and "Salmon Fishing in the Yemen". A fun movie that celebrates the diversity of our cultures, backgrounds and most importantly COOKING. Food and refreshments will be served and are by donation!!! Please come earlier to reserve your spot as it is on a first come, first served basis.